Enjoy the balloons. Then come get your laugh on. 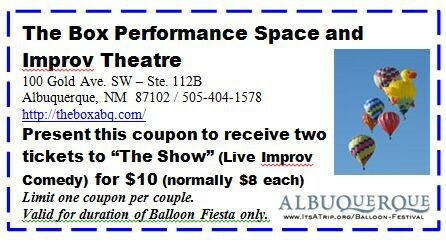 Special Deal for Balloon Fiesta Visitors! 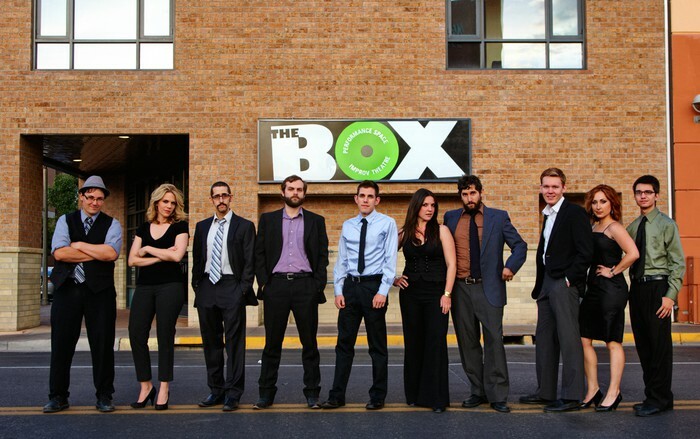 The Show is Albuquerque's critically acclaimed professional comedy improv troupe. Modeled after Chicago's polished comedic style and performance formats, all shows are based entirely on audience suggestions - each night is completely different! 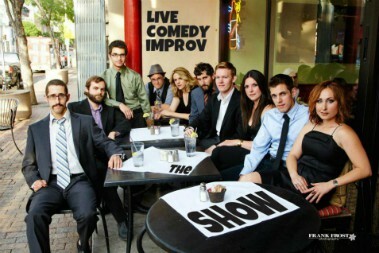 The Show is a fast-paced, quick-witted comedy show that's fun for everyone.